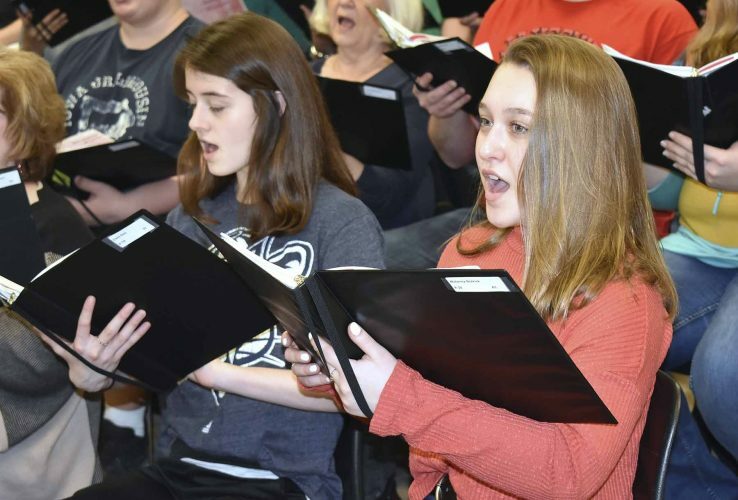 -Messenger photo by Joe Sutter Organized in 1887, moved here in the 1900s and rebuilt in 1976, Second Baptist Church will celebrate its 130th anniversary Aug. 12 and 13. Anyone’s welcome for chicken, ribs and gospel here at 1827 Fourth Ave. S.
-Messenger photo by Joe Sutter Church Chairman Steve Clayton shows Second Baptist Church’s substantial library, donated by Bill Doan, of books on black history, the Civil War, slavery, and even famous figures like BB King. The old Second Baptist Church, built around the turn of the century and moved to this spot in the 1900s, was demolished in the 1970s and a new building built in its place. It’s remembered in this photo in the fellowship hall of the new church. 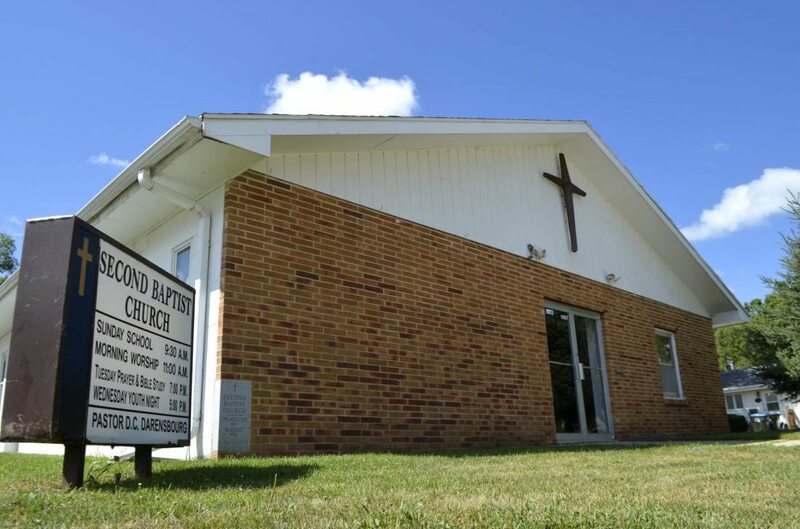 -Messenger photo by Joe Sutter Organized in 1887, moved here in the 1900s and rebuilt in 1976, Second Baptist Church will celebrate its 130th anniversary Aug. 12 and 13. 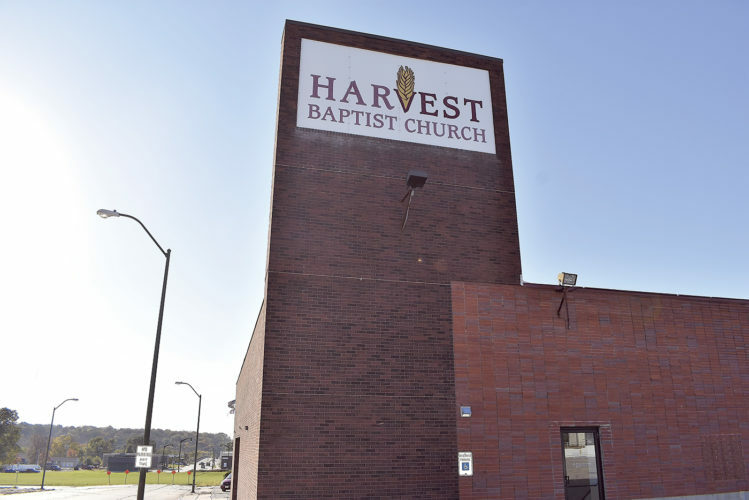 Anyone's welcome for chicken, ribs and gospel here at 1827 Fourth Ave. S.
Ribs, chicken and pork loin will be on the menu as Second Baptist Church in Fort Dodge celebrates its 130th anniversary on Aug. 11-12. Church Chairman Steve Clayton said everybody can come enjoy music, preaching and celebration over the weekend, or just come for the food. “Spend a Sunday with us, eat and listen to the word, and celebrate a blessing,” Clayton said. Food will be served from noon to 8 p.m. that Saturday, Clayton said, with the same menu he used to serve at Clayton’s Ribs — including cheesy potatoes and baked beans. Cost will be from $10-$12 on Saturday, with a free will donation on Sunday. There will also be a full rack meal that serves three for $30. 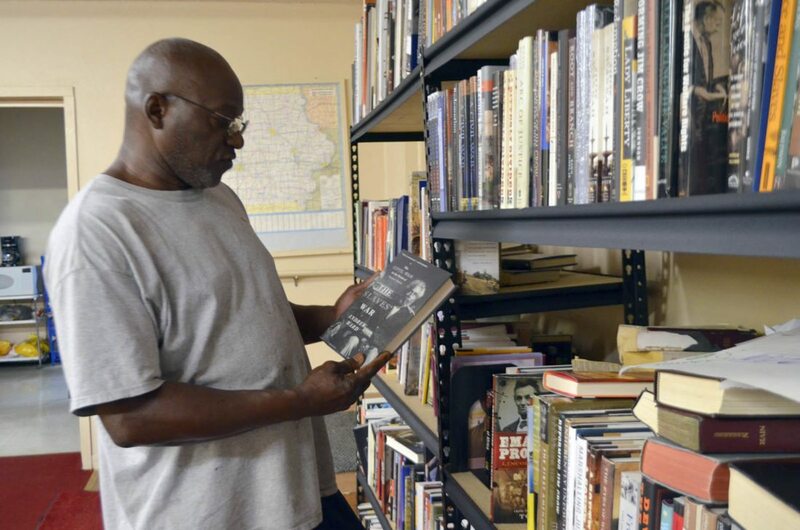 -Messenger photo by Joe Sutter Church Chairman Steve Clayton shows Second Baptist Church's substantial library, donated by Bill Doan, of books on black history, the Civil War, slavery, and even famous figures like BB King. “Sunday the morning service is from 11 to 1, then we’ll start the anniversary party at 4, but I’m going to invite people any time after 1 if they want to stop, because we will be here serving meals and we will also be delivering Sunday,” Clayton said. Clayton has been coming to church since he was young, in 1962, when the church still met in its old building. That building was torn down and replaced in the ’70s. 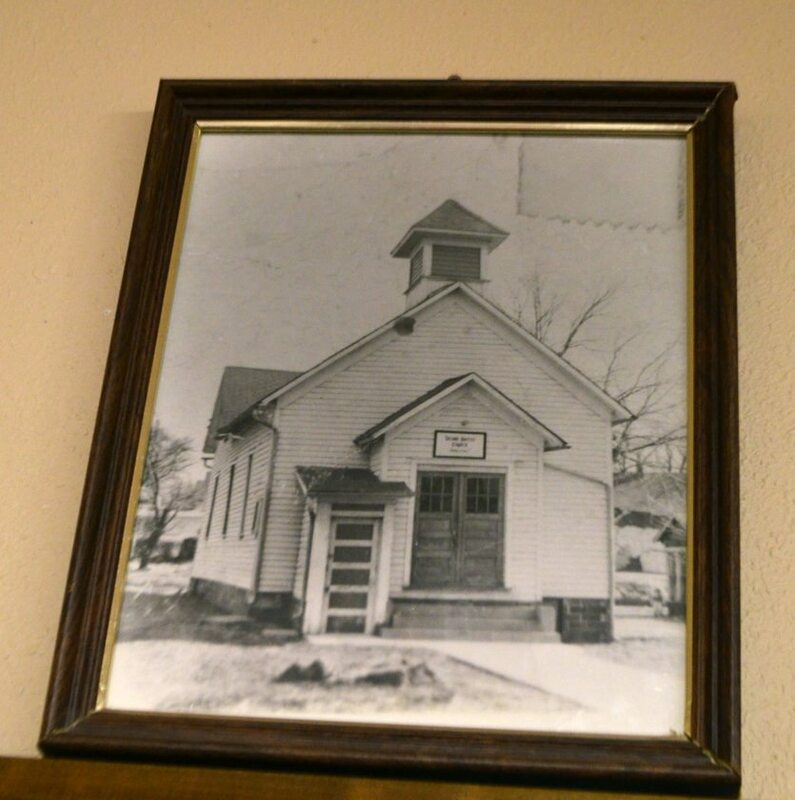 A picture of the old church can be found on the wall, along with newspaper clippings and writings from church members on Second Baptist’s history. “This, this is the building I remember,” Clayton said. His mother moved here with Clayton in the ’60s, and he grew up here. The old Second Baptist Church, built around the turn of the century and moved to this spot in the 1900s, was demolished in the 1970s and a new building built in its place. It's remembered in this photo in the fellowship hall of the new church. The old church had its problems. It would get muddy water in the basement, Clayton said. “Even today this building is built on a stream,” he said. “It runs all the way down to the Blanden art gallery, if I’m told right. The church was organized in 1887 thanks to the dedication of the people there, and survived thanks to generous help, he said. “It was the work of some people who wanted a place to pray,” Clayton said. The history is displayed on the wall; after the families of William Jamerson, Randolph Stewart and Moses Cox secured a piece of land at the corner of 16th Street and Central Avenue, a small building was built. It was later moved to the backyard of Cox’s home at 15th Street and Central Avenue. 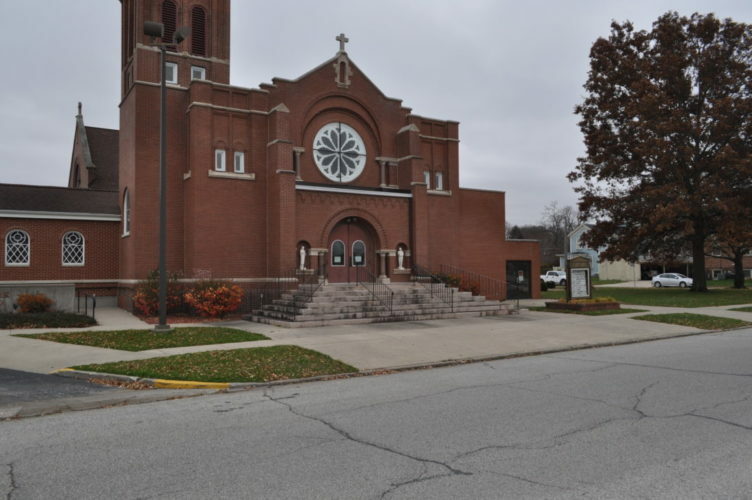 The building became too small in the early 1900s, when an anonymous resident donated the lot at the corner of Fourth Avenue South and 19th Street, where the church sits today. The church also had outside help from attorney Herbert Bennett and Clarence Tompkins, the founder of Friendship Haven. Bishop DC Darensbourg has been pastor since 2011, and said the commitment of those core members was what kept the church alive through hard times. The church has fewer members than in the old days, Clayton said. “All the churches in the world are having people problems,” he said. “We had 131 people at one time. Now we do good to get 21 people in the place. To try to make sacrifices with the light, gas, water, the parsonage, with the billings, it’s pretty tough. It’s pretty tough to pay those bills and pay your pastor. 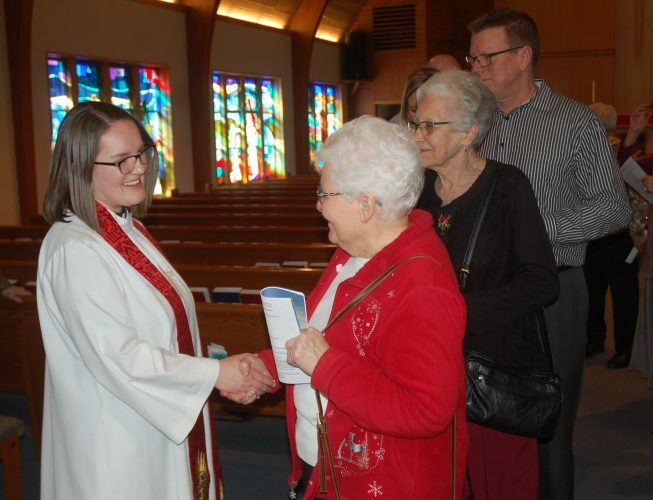 Right now the church is excited about its multiple ministries to the community, Darensbourg said. “Right now we are training leaders,” he said. “We are excited about our outreach ministry lead by Johanna Green. We have a men’s ministry, geared towards mentoring men and young boys. We had a fishing tournament last month. Sunday service 11 a.m. to 1 p.m. Aug. 13, with food served starting at 1 p.m. and anniversary party at 4 p.m. Menu includes ribs, chicken, and pork loin, cheesy potatoes and baked beans by Steve Clayton.